The Ellivate Coaching Team is a team of experts that empower other women leaders to define and create success on their own terms. Professional coaching is incredibly powerful, as it is 100% customized for YOU. We work together to accelerate your professional and personal development, unlock your unlimited potential and maximize your positive impact in the world. Learn more about any of our Ellivate Coaching Team members by clicking on her name below. Each of our coaches delivers 1-to-1 coaching services and facilitates small group coaching through the Ellivate Master Mind. Each coach also offers a complimentary discovery session so you can explore what coaching together could be like. Sarah Elliott, ACC, CPA – Sarah believes in the magic of collaboration and loves to empower and connect women leaders. She took a leap of faith in 2014 and left the leadership team of a regional CPA firm to launch Ellivate Coaching. She partners with women executives and entrepreneurs as an executive coach in a thought-provoking and creative process that inspires her clients to maximize their personal and professional potential. Sarah is also the co-founder of a leadership development firm called Intend2Lead that coaches CPAs to access the Dimenion of Possible through one-to-one coaching, group learning and innovation labs. She was honored as one of the Most Powerful Women in Accounting in 2017 and 2018. 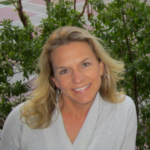 Sarah holds a Graduate Certificate in Executive and Professional Coaching from the University of Texas at Dallas and is a credentialed coach through the International Coach Federation. She earned a BBA in Accounting from Texas A&M University and is a licensed CPA in Texas. You can read her full bio here. Areas of Expertise: CPAs, women executives and entrepreneurs, and women aspiring to those levels. Coaching Packages: Custom packages with the flexibility to suit your needs that include 2-4 phone sessions per month (up to 60 minutes each) over a duration of three to nine months. Kyla Martin – As a coach and consultant (Kyla Martin Consulting), Kyla’s passion is uncovering and applying purpose in both people and organizations. For the past 25 years, she has guided new college grads, entrepreneurs, full-time moms, individual contributors, managers and executives at Fortune 500 companies to maximize strengths and pursue passion. Often called the “Purpose Whisperer,” her strength is helping women uncover and apply their purpose in life, including overcoming limitations and creating an actionable roadmap to live the life they always imagined. Uncovering & Applying: 4-session jump start toward uncovering your authentic self and life imagined. Building & Accelerating: 4-month engagement that includes a process to uncover, build and accelerate your life imagined. Transformational Breakthroughs: 6-9 month, personally-customized premier program that includes strengths inventory and assessment, life visioning, roadblock assessment/plan and accountability program, including measurement to fully achieve the life you imagined. Carri Scuba – Owner and creator of Core Vision Concepts, Carri is a certified professional coach who helps individuals produce extraordinary results in their professional and personal lives. 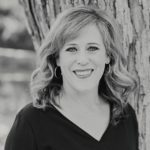 Working as a professional coach for the past decade, Carri uses her 15 years of corporate experience to help her clients get out of their own way and into action. In addition to being awarded the status of Associate Certified Coach from the International Coach Federation, Carri holds a Wellness Coach certification from the Institute for Integrative Nutrition and a BSBA from the University of Missouri. Coming from a stand of what is possible, she supports individuals to uncover challenges that have previously stopped them, while championing new behaviors and powerful results. Areas of expertise: Corporate, Executive, Entrepreneurs, Leadership Presence, Effective Communication, Health & Well Being, Professional & Personal Life Balance. Complimentary introduction call to determine focus areas and desired outcomes. Individualized programs designed to target your overall goals. Engagements typically last 3-6 months and sessions are scheduled on a weekly or bi-monthy basis. Each engagement includes a toolbox of distinctions, providing sustainable transformation even after coaching is complete. 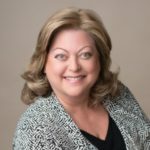 June Shrewsbury – June is an author, an ICF-certified coach and an accomplished businesswoman with more than 27 years of operational experience leading large, diverse organizations. She holds a Bachelor of Science in Civil Engineering, a Master of Business Administration and a graduate certificate in Executive and Professional coaching. June is a certified practitioner in Meyer-Briggs Type Indicator (MBTI) Step II, DISC and other individual and team assessment tools. 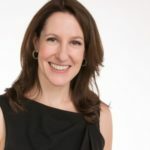 As the Founder and President of JR Shrewsbury Coaching and Consulting LLC, she uses her unique blend of education and experience to help individuals successfully navigate career and life transitions. Managing career transitions from mid to senior leadership. Managing transitions to new career or life paths. Helping teams achieve greater efficiency and effectiveness through enhanced communication and interpersonal skills development. My ideal client is looking to create a value driven life that allows them to be the best version of themselves. For individuals, minimum three-month engagement with six one-hour phone sessions. Personal assessment that best meets the client’s need is included. Team engagement minimum is a four-hour workshop based on client stated goals. Individual team member assessments included. The Ellivate Master Mind is a coaching-based, personal and professional development experience for an intimate group of 4-6 like-minded women who want to maximize their positive impact in the world while enjoying the journey. This small size allows adequate time for individual exploration and cultivation of authentic connections. The Ellivate Master Mind includes a 1-to-1 coaching session to help you clarify your goals and six small group meetings to provide each woman the inspiration, practical know-how and accountability to move her business forward in a tangible way. Group Master Mind sessions are held virtually, twice per month (total meeting time: approx. 2-3 hours per month) for three months, with an option to renew. We offer exclusive pricing on the Ellivate Master Mind for Ellivate Alliance members. If you’re interested in tapping into the magic of collaboration with an Ellivate Master Mind, please contact Sarah Elliott at sarah@ellivatecoaching.com.